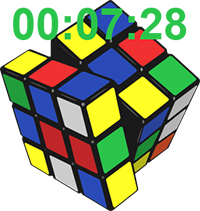 Generates an algorithm to scramble your cube and track your times. These apps are suitable to children in Preschool thru to Year 2. Hope parents find them useful as a teaching resource to engage young children to actively learn in a home setting or classroom and to encourage their love for learning to grow. Simple games and productivity apps for everyone. Hope the games challenge you and the productivity apps help you in your day to day activity in some ways. Stimulate your child's creativity and problem solving skills through coding. Here is a list of a few resources to encourage your child to learn how to code.